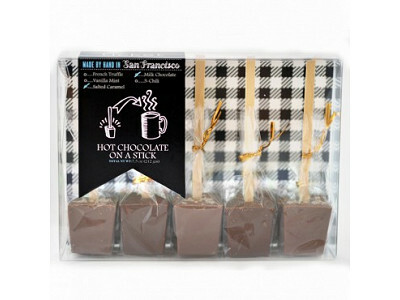 The Ticket Kitchen’s chocolate-on-a-stick is the ultimate hot chocolate experience. The anticipation builds as soon as you start swirling a block of rich couverture chocolate into steaming, frothy milk and watch the ingredients become combined into one creamy confection. 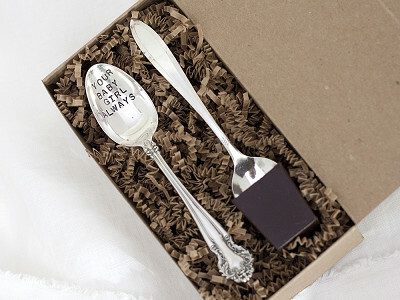 Fortunately, once you start stirring, sweet satisfaction is mere moments away! 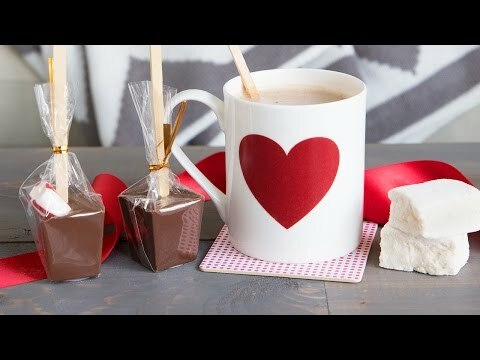 Ticket Kitchen was founded by sisters-in-law AmberLee Fawson, who grew up among the renowned cacao plantations in Venezuela, and Andrea Hancock, a lifelong hot chocolate lover. 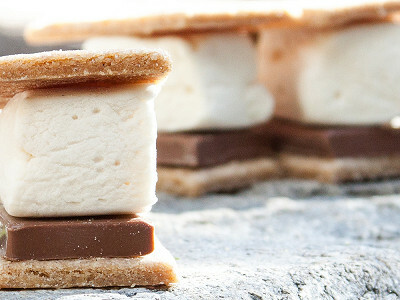 Together they’ve created hot chocolate that you can make at home and elevated it to a café-quality experience. 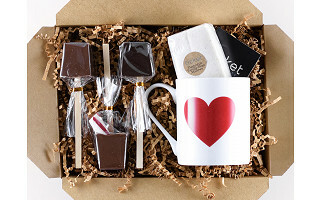 Each chocolate Ticket Stick is handmade in their San Francisco chocolate kitchen using top quality Belgian couverture (couverture contains extra cocoa butter, which gives the chocolate more sheen and a rich, creamy flavor). 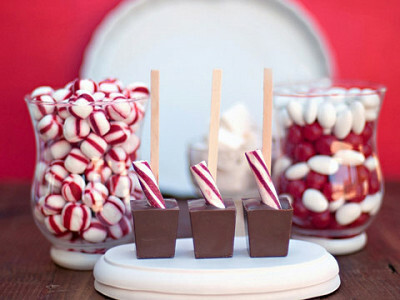 We sampled a range of different Ticket Sticks, including: Salted Caramel, topped with coarse sea salt; French Dark Truffle, which delivers a bold punch of classic cocoa; the deliciously creamy Belgian Milk Chocolate, which finishes with a trace of toffee; Peppermint, which blends Belgian chocolate with an old-fashioned peppermint stick; and, for a little extra heat, the 3-chili Ticket Stick with a blend of chipotle, ancho, and cayenne peppers. Ticket Kitchen got its name because AmberLee and Andrea want to create chocolate that “sends you,” they explain. Well, we’ve taken their warm, sweet journey and can vouch for the deliciousness of every last sip. Hello everyone! We're so thrilled to be meeting Grommeters and fellow chocolate fans! Thanks for taking a moment from your day to come by and say hello. I'm here to chat about anything you'd like, and am especially happy to talk about chocolate all day long : ). At the Ticket Kitchen, we're all about the chocolate. We use only the finest couverture that is made with slow and meticulous old-world-style chocolate making to produce a smooth unrivaled chocolate. We love producing fun new flavors, but our world-class chocolate always takes center stage. 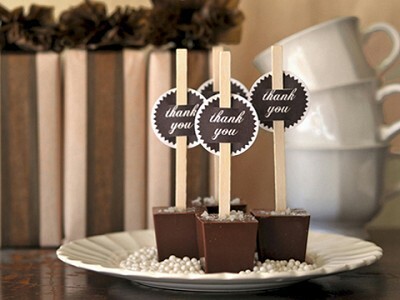 Are the Chocolate Pops gluten free? Thanks for the note! We have thoroughly reviewed all of our product ingredients, and nothing that goes into our hot chocolate should have anything that would conflict with a gluten-free diet. We are not certified gluten free at this point, however. Though we hope to take that step some time soon! Do you have any that are non dairy? --Andrea and I each have a different flavor we have been craving lately, and for both of us it was a different flavor than we expected. Our chocolate is created in a facility that processes milk chocolate with milk solids, however, so we don't totally guarantee that there is no possible trace of dairy. I hope that answers your question! I don't understand your pricing on the tasting packs. The regular packs, of 4, are $15. But the tasting packs, of 5, are $24, except for the vanilla mint, which is $28 for a pack of 5. So it's $9 more for just one more item. I must be missing something. @Maria Hansen: Thank you for sharing your concern. I am checking into this and will let you know. @Maria Hansen: Hi Maria! Thanks for an excellent question. We are able to offer our best deal on our four-packs because the packaging allows us to keep to absolute bare minimum costs. We put a little more time and love into the display packaging of our five packs. And yes, our Vanilla Mint is made from an especially creamy Belgian chocoalte that is a little harder to import, and because all of our sticks are handmade, and this one takes extra care, we list our Vanilla Mint as a premium flavor. My son has a severe tree nut allergy. Is this safe for him (i.e. does it contain any tree nuts like almond or other tree nut) or is it manufactured in a facility that uses tree nuts? Thanks! @Tracey Cook: In the DETAILS tab of the page where the Grommet is featured, there's a link to "Ingredient & nutritional information FAQ". "While we cannot guarantee that our items are not cross contaminated by peanut or tree nuts, we can tell you that during the making of our chocolates, no nut products are used and no other nut products are being made. The Ticket Kitchen holds no responsibility for any guarantees that our items are not cross contaminated by peanut or tree nuts." 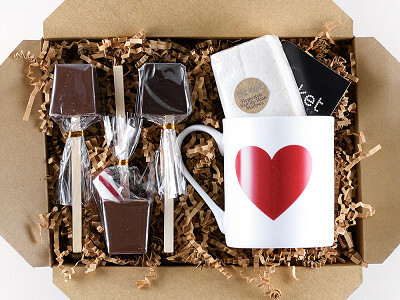 We're bummed that your son won't be able to enjoy this Hot Chocolate Pops treat. Why don't you offer a tasting pack with all 5 of your flavors? Think about it! @ Caroline I agree totally! I'd order a sampler pack as Christmas gifts if it contained 1 of each flavor. Otherwise I am not sure what flavor freinds and family would like. A sampler of each sounds perfect! AmberLee, I totally agree that a five pack sampler package would make a terrific Christmas gift ...... I'd buy several. However, I also agree with the previous writer that the pricing structure should be adjusted so that per piece, the packs cost roughly the same, regardless of the variety of flavors they contain. @ Richard Thanks for the question. The different pricing reflects the different costs. We are able to offer our best deal on our four-packs because the packaging allows us to keep to absolute bare minimum costs. Once you go over 4 pieces, the shipping and packaging cost more, so the price needs to be higher. We put more time and money into the display packaging of our five packs. And Vanilla Mint is made from an especially creamy Belgian chocoalte that is a little harder to import, and because all of our sticks are handmade, and this one takes extra care, we list our Vanilla Mint as a premium flavor.